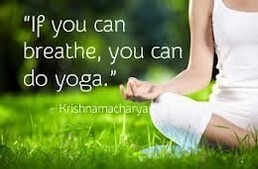 Yoga can alleviate stress and anxiety, ease muscle strain and tightness, and help the breath move. Any body can do it…even those who say they can’t because they are not flexible! With many classes, workshops, retreats, wellness days and yoga vacations throughout the year, there is something for everyone! Meditation is fast becoming a hot topic. For many, meditation is a way to manage stress, anxiety, fear and to reset and retrain the mind to be open to change, flexibility and love. If you have not experienced the gift of meditation or you just don’t think you can do it, then join me for a Introduction to Meditation workshop. You will soon see that meditation is for everybody and that it is beneficial for all. You can visit the workshop page to see when the next one is running, or perhaps booking a private workshop for yourself, for a group or for your workplace is more convenient. Either way, a quick email to yogapath8@gmail.com can begin the journey.